When we see the month of September appear on the calendar it’s not because of our anniversary, birthdays, or any other big family celebration… it’s simply because that means the Epcot International Food and Wine Festival is about to begin! 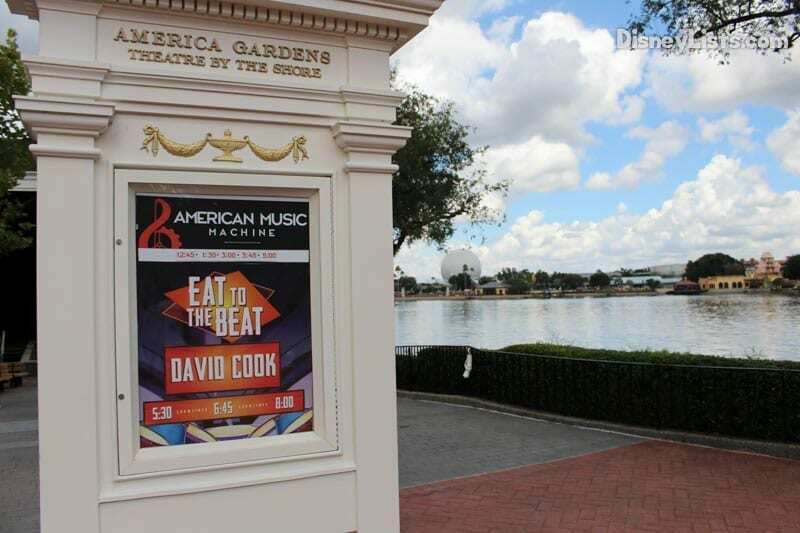 Countdown with us for our top 9 reasons why we love the Epcot Food and Wine Festival and why we are sure you will too! Disney World Imagineers surely had all of us in mind when they planned for the Epcot Food and Wine Festival because they picked the most amazing time of year – the Florida fall season. With the festival taking place from August 30 – November 12 this year, we all have an opportunity to leisurely explore Epcot and the many festival happenings without the humid summer heat. This fall time really is perfect because it’s not chilly but it’s not typically steaming hot, especially in late October and November festival days. Yay for enjoying the festivities without melting! Other than Epcot’s Flower and Garden Festival, the Food and Wine Festival is one of our favorite times to catch Epcot’s scenery at its’ best. Among the specially shaped shrubs, romantic lighting, and unique artworks displayed, we also enjoy that there are so many more countries represented. As you travel around the World Showcase, you’ll spot the usual 11 countries – but take a look at the special kiosks that represent diverse countries from all around the world. Get that camera ready to snap photos! Let’s go shopping! 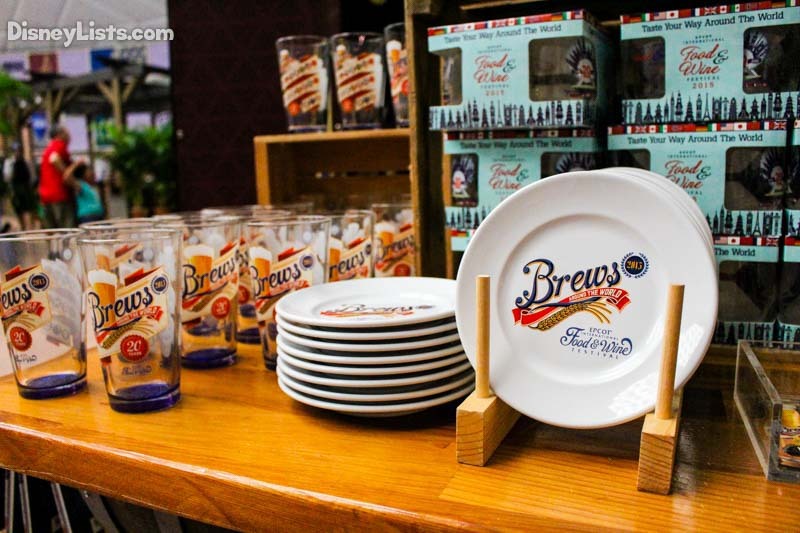 Food and Wine Festival merchandise is available throughout many of the typical Epcot gift shops, especially around the World Showcase. Don’t forget to head to the Festival Center to explore the merchandise available there! They have many more unique items to select from including specialty gift shops such as the Wine Shop and the Stockpot Shop. Maybe it’s a good thing they don’t have shopping carts! The inner child in us has a great love for the Epcot Food and Wine Festival Passport. This baby gives you the location of where all the different kiosks are and provides you with the ability to sort of “check off” where you’ve been. It’s a fun way to be sure you are hitting all the booths you want to and to look back a few months down the road and retrace your steps down memory lane. Kids in tow? Get them involved! Better yet – check out the Remy’s Ratatouille Hide and Squeak. Purchase a special map and stickers and let the scavenger hunt begin. Did you know the Food and Wine Festival is an excellent place to spot celebrities from all over?! We aren’t just talking about our favorites like Mickey and Minnie, but celebrity artists like Blue October, Dennis DeYoung, The Hooters, Hanson, Boyz II Men… and so much more! But – wait, that’s not all. The festival also has TV celebrities from ABC’s “The Chew”, world-renowned Chefs, authors, and even the world’s top beverage experts. 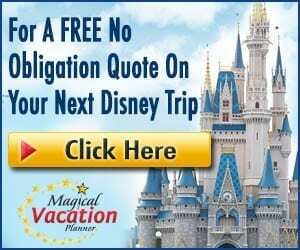 This is one trip where you might end up with some autographs besides the usual Disney characters! So, you’ve always wanted to visit Epcot but you think the park admission might be a little steep? The Food and Wine Festival is the perfect way to get more bang for your buck. Most of the festival activities are included in your park ticket. Plus, you have to eat anyway – so why not pick and choose what you’d like to eat around the World Showcase? Make it easy on yourself and purchase a gift card upon arrival so you can go around the world cash free! Visiting Epcot during the Food and Wine Festival is the perfect way to get more of an “experience” out of your park admission. Have you heard about the Eat to the Beat Concert Series? 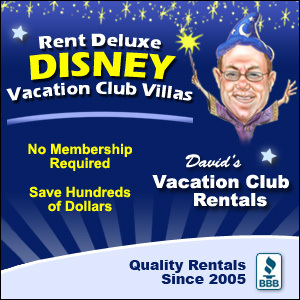 Well, it’s just more to add to your experience with your standard park admission! Eat and drink with musicians performing in a concert setting in the American Gardens Theater. This live music isn’t performed by just anyone – but instead, they are well-known artists that most of us have downloaded their songs at one point in time or another (some named above). Don’t forget to check out the Eat to the Beat Dining Packages for reserved seating. Well of course – one of our favorite reasons why we love the Epcot Food and Wine Festival is because of just that – the food and the wine! The FOOD… oh my goodness, the food is unbelievable. Known as the “celebration of global cuisines” it’s hard not to try a little bit of something from as many of the roughly 35 kiosks as possible. The different flavors of wine are out of this world and fun to delight in the small (or large) tastings. It’s ok, you’re at a festival – have another! 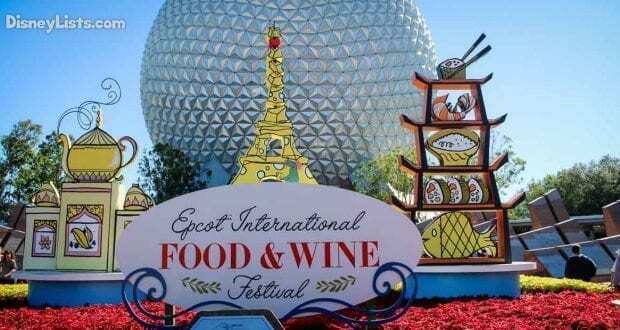 These are our top 9 reasons why we love the Epcot Food and Wine Festival. Why do you love this incredible festival? We’d love to hear from you!